Palo Alto to lower permitting barriers for solar energy | West Coast Solar, Inc. Solar energy is one of the fastest growing electricity production methods in the country, but one obstacle to even faster expansion of photovoltaic technology are the sometimes costly and lengthy permitting and zoning procedures that are enforced by municipal agencies. The Department of Energy estimates that regulatory processes can raise the cost of installing solar panels by as much as $2,500. But a new effort by the city of Palo Alto indicates that city officials are willing to work with customers to streamline approval of solar projects. Palo Alto is aiming to be a carbon neutral city, but in order to do this they’ll need more solar energy. 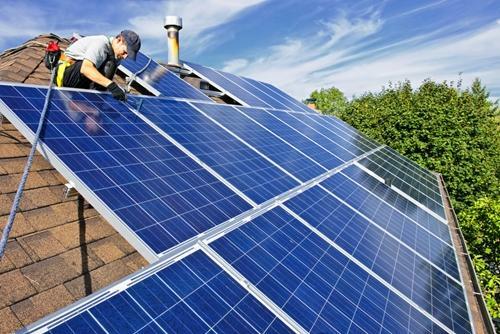 Recognizing this fact, the city has agreed to shorten the length of time that residents must wait to have their solar installations approved, according to Solar Server, an industry news website. In addition, there will be some allowance for same-day permitting (called “over-the-counter”) for citizens who make an appointment, and “consolidation” of the number of inspections. The hope is that by eliminating the wait time for permits and zoning clearance, Palo Alto solar will become more ubiquitous and accelerate the path toward carbon neutrality. Palo Alto requires three inspections for residential systems (under 15 kilowatt capacity) and four for commercial and large residential systems. The regulatory and inspection requirements can be found on the city’s website. There’s never been a better time to switch to solar. In addition to helping the environment, solar energy lowers your energy bill by allowing you to take advantage of favorable tax incentives. Contact West Coast Solar today for more information.